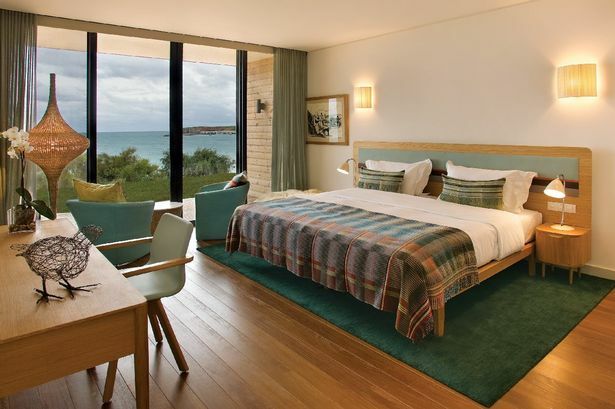 MARTINHAL Beach Resort & Hotel near Sagres in the western Algarve, has put together some fabulous family packages that will make the festive season go with a bang and make staying at this family resort even more tempting this winter. Families can enjoy a discount of up to 27% on a 7 night stay with Martinhal’s luxury family Christmas package. Meal times are arranged around the family and during the luxury Christmas Eve Dinner Party and Christmas Day Brunch children will be entertained by fully trained kid’s club staff, allowing mum and dad to enjoy some relaxing time this festive season. If a private party in a self-catering house is more tempting, guests can arrange a special hamper to be delivered on Christmas day with turkey and all the trimmings. Or you can start 2015 in style, with New Year celebrations at Martinhal. A wide range of Hotel room and private villa packages are available, with three-day/two-night packages starting at just €596 per couple. Included in the price guests can enjoy dinner on the 30th December, and a luxury Gala Dinner & Party on New Year’s Eve with live music, canapés, cocktails, wine, soft drinks and a separate children’s party in the Kids’ Entertainment area. The day after enjoy a delicious New Year’s Day lunch overlooking Martinhal Beach - could there be a better start to 2015? Martinhal makes every effort to make the holiday season enjoyable for every member of the family from tiny tots to devoted grandparents. During the festive season Martinhal is transformed into a magical Christmas wonderland with fairy lights, Santa Claus, yuletide food and overflowing festive cheer amongst the staff and guests. Throughout their stay guests can enjoy the endless activities on offer including full use of jacuzzi, sauna, steam room and heated indoor pool, as well as complimentary Kids’ Club and Crèche sessions. With the stunning backdrop of Martinhal Beach the cold UK winter will seem a very long way away! Martinhal Beach Resort & Hotel offers stylishly designed private villas and hotel rooms. Its modern, luxurious, and open spaces include an ocean side pool and four additional outdoor pools (all heated), as well as an open-air tennis court, al fresco restaurant, and extensive beaches. Local foods are expertly prepared by the hotel chef, and activities include hiking on deserted coastal paths, tennis, football, windsurfing, swimming, yoga and of course surfing, as well as absorbing the Algarve’s local culture.